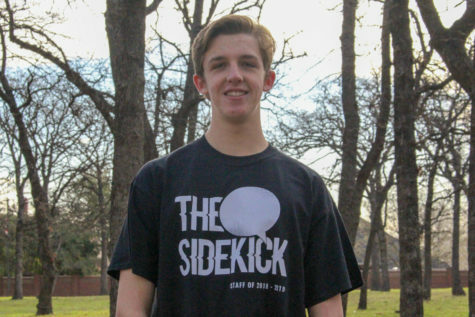 As the Coppell boys soccer team took the field against the Wildcats at Buddy Echols Field, the temperature read a cool 67 degrees with a clear sky. As the game played out, the Cowboys took advantage of this weather as they took home a 2-0 win over Lake Highlands in their District 9-6A matchup. The game started off slow, as neither team scored in the first half. 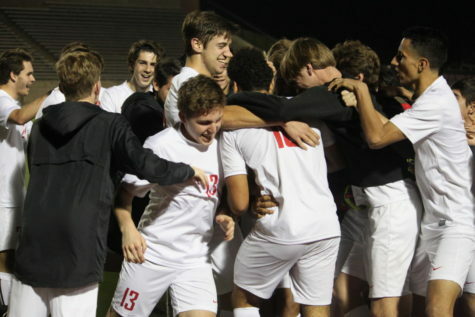 However, the Cowboys (13-3-2 overall, 7-1-2 in District 9-6A) consistently kept possession and took multiple shots on goal, giving them a slight edge over Lake Highlands (10-4-3, 5-2-3). 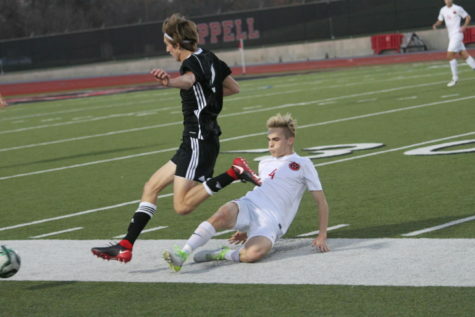 Coppell first gained the lead in the 48th minute with a goal by senior midfielder Francisco “Kiko” Redondo. After a run by the Cowboys, senior midfielder Wyatt Priest gave a right-footed pass across the net to meet the head of Redondo, who dove in to score the first goal of the game. However, this connection between players is not exclusive to Priest and Redondo. It goes much deeper into the team’s lineup. Later in the match, the Cowboys confirmed their win with a solo run-goal by junior defender Jacob Vasquez, making the score 2-0. Throughout the match, the Cowboys saw a noticeable improvement from last Tuesday’s match against J.J. Pearce. Due in part to the slick, foggy conditions and in part to poor performance, Coppell had difficulty making and receiving passes against the Mustangs. However, this week, pass-completion was much more consistent, giving the Cowboys not only more possession time, but also better scoring opportunities. “I mean, we’ve had slick conditions, but tonight we had a cleaner game overall. Passes weren’t sloppy and we completed a lot more of them,” Balcom said. But, like any match, there are things that worked and things that did not. The Cowboys will travel on Tuesday to W.T. White in Dallas to play the Longhorns in another District 9-6A match up.